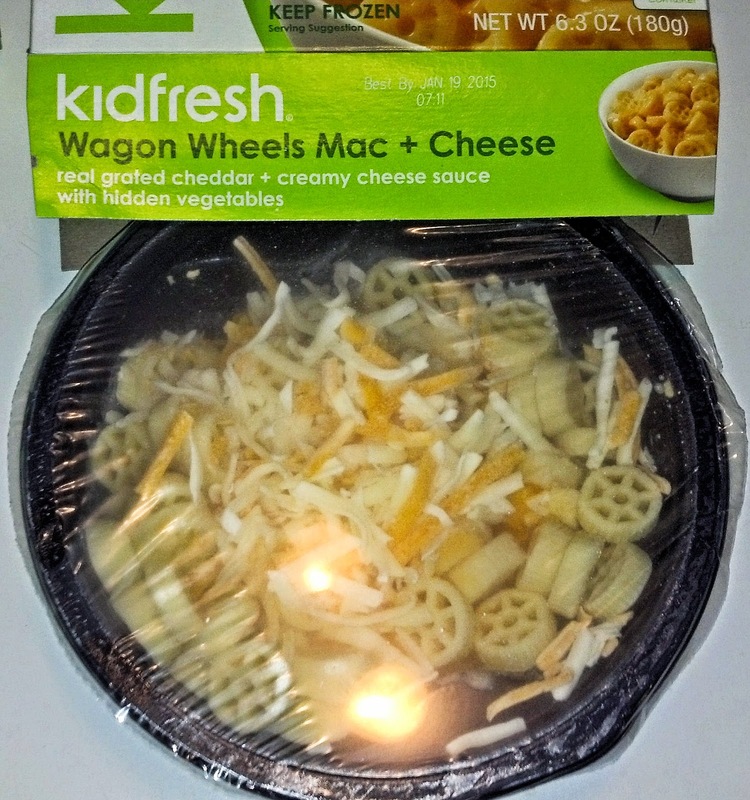 It's This or Murder...: Kidfresh: How to Hide Veggies and Make Kids Smile. 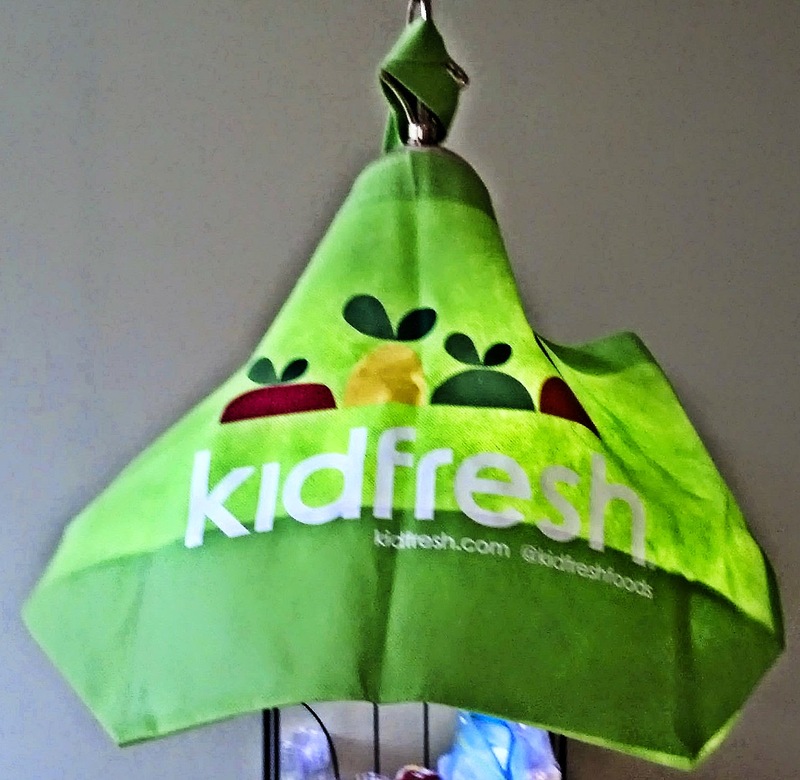 Kidfresh: How to Hide Veggies and Make Kids Smile. 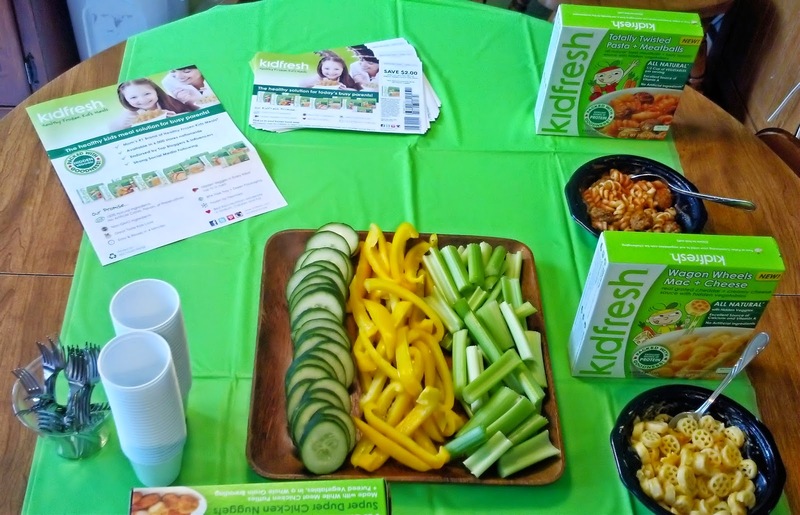 Moms Meet recently gave me the opportunity to share Kidfresh Frozen Meals with my mom group. 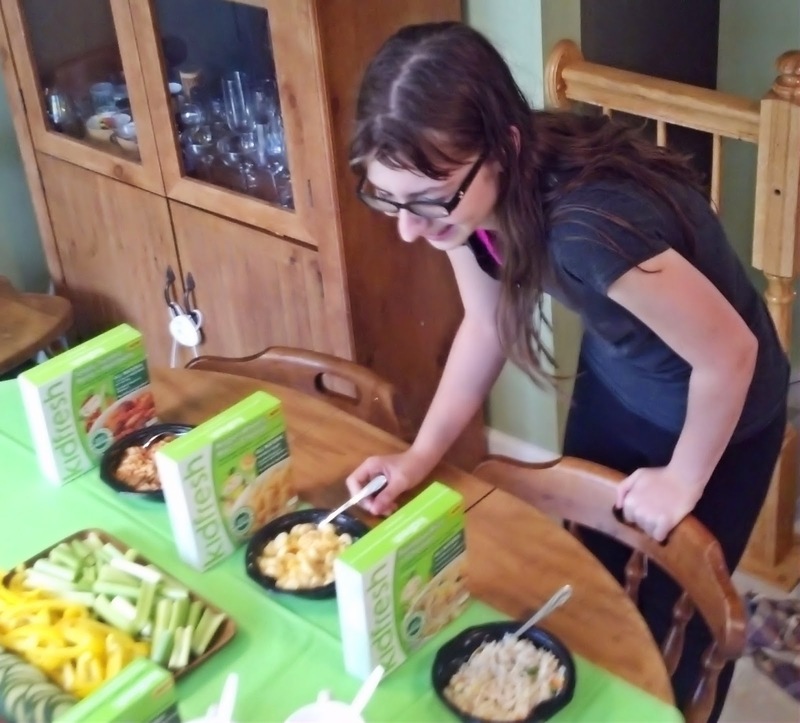 It was a very welcome opportunity, as I am ALWAYS looking for frozen meals that I can feel good about serving. I chose the Wagon Wheel Mac + Cheese, the Rainbow Rice and Chicken, the Totally Twisted Pasta + Meatballs, and I got three boxes of the Super Duper Chicken Nuggets, because I knew they would be popular. So what's so cool about Kidfresh? 100% Natural ingredients. Non-GMO ingredients. 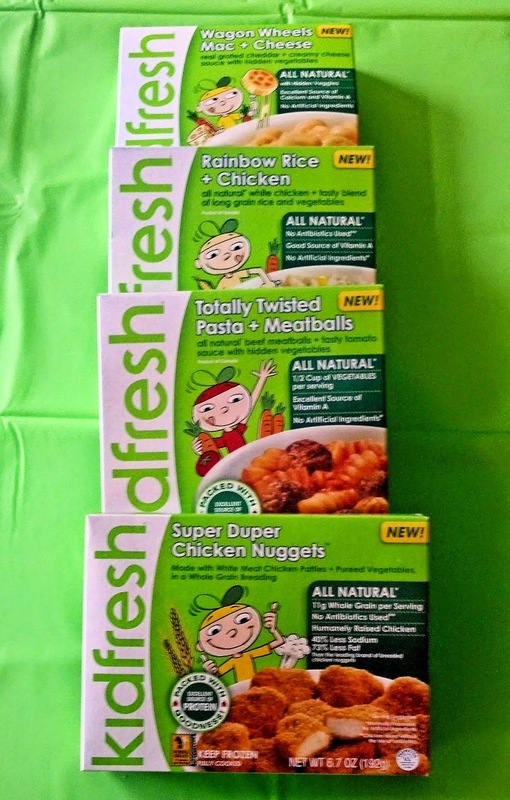 BPA-free tray and green packaging. And the best bit: they hide veggies in all of them. Yes, even in the chicken nuggets. There's cauliflower in there. For real. A tote was sent, and I used it to improv a light decor. Don't worry, it came right back down unharmed after. 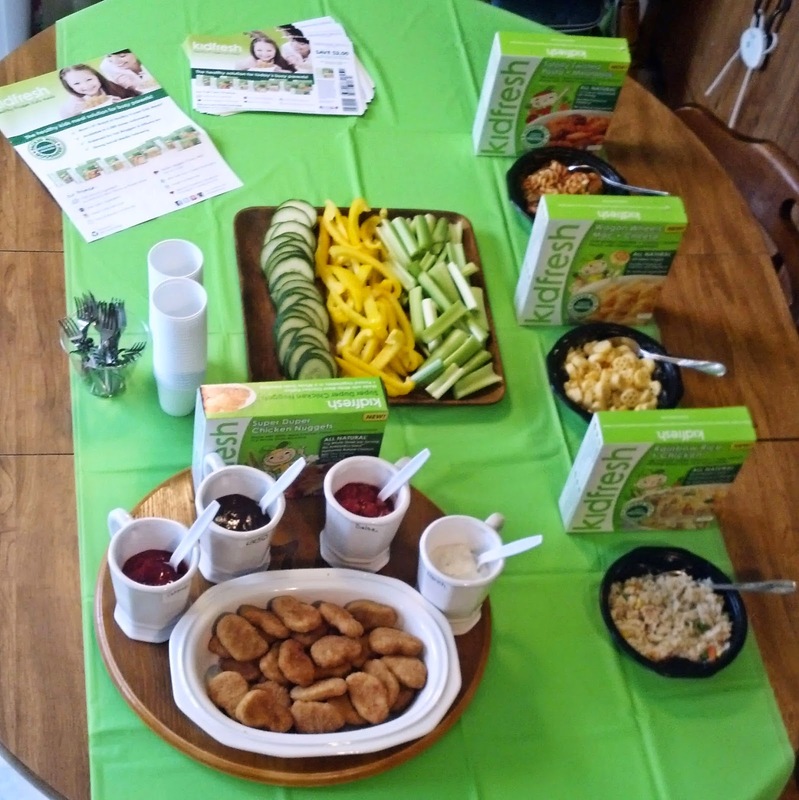 Then to set up the table.., complete with sampling cups and coupons. My son was the guide. People dove right in. Caught on camera, a teenager eating veggies! I made sure there was an assortment of dipping sauces for the chicken nuggets. 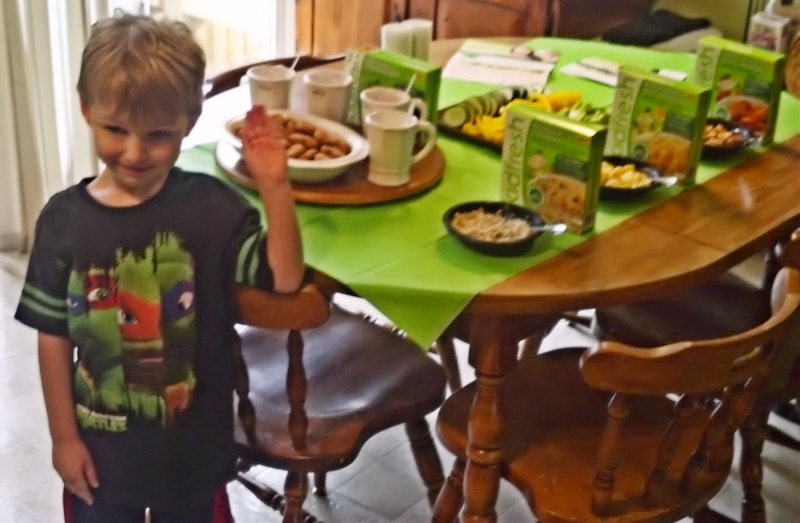 The writing on the cups is a food color based marker...safe, and wipes right off. They are all super tasty, too. 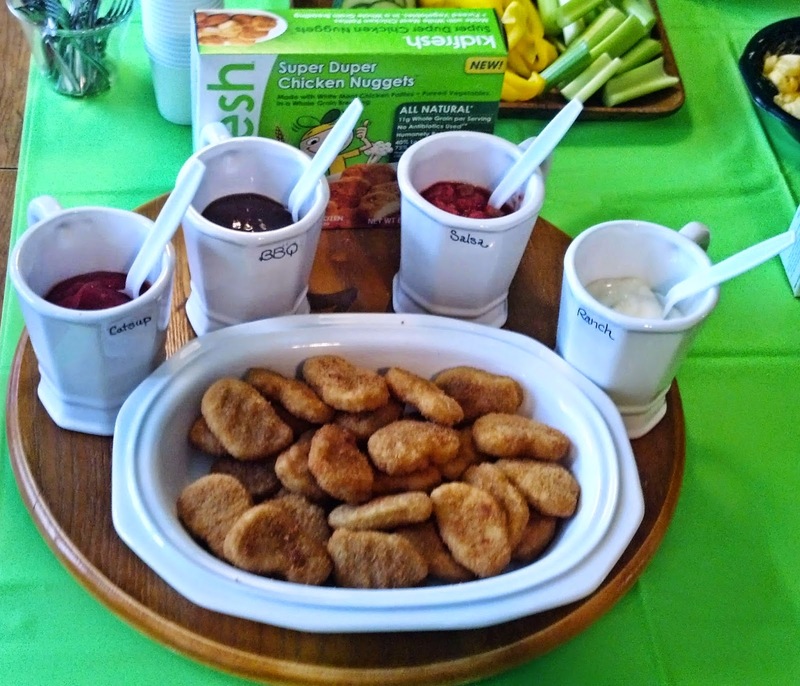 The nuggets were the most popular, and were wiped out quickly. There is no way you could tell there were veggies in there. The Mac + Cheese was the next up favorite. Carrots in it. Seriously. No clue from the taste. The kids weren't as on board with the rice and Twisted Pasta...the texture of the rice bugged them, and the Twisted Pasta apparently had a sweeter flavor than they were used to. The parents raved about those two, though...said that they would buy them for themselves as the perfect portion controlled lunch option.They picked the Rainbow Rice as their number one. I liked it myself, but I'm sold on those Chicken Nuggets as my fave. Everyone left with coupons, and I let them know that I had found them at the local Harris Teeter. One woman said she was leaving to go shopping, and would pick some up right away. Her son was happy to hear that. I received products from Moms Meet for testing and sharing purposes. My opinions are my own.